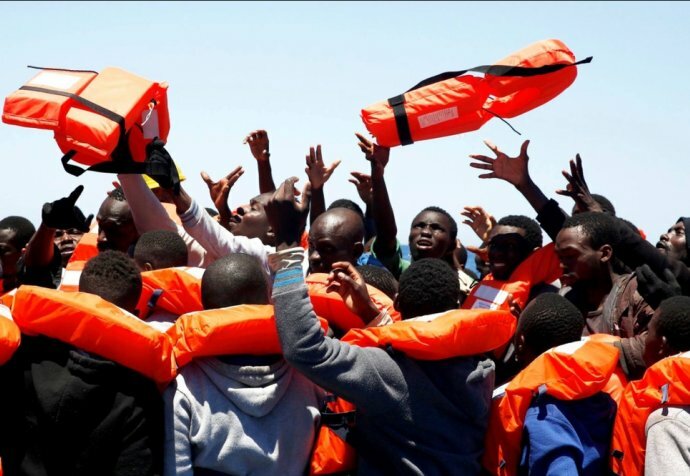 Late yesterday, 25 men and women died in the Central Mediterranean and were found by the Médecins Sans Frontières’ search and rescue ship Bourbon Argos, in a overcrowded rubber boat some 26 nautical miles from the Libyan coastline. One hundred and seven survivors were rescued from the same boat and a further 139 from a nearby rubber raft. "In the bottom of the boat, 25 victims of suspected fuel inhalation were hidden beneath a mixture of sea water and fuel. It took us three hours to retrieve 11 bodies because the mixture of petrol and water is so potent that we just couldn’t risk being in that boat for long periods of time. It was horrific"
As it was already dark and not wanting to delay the operation until sunrise, the team called upon the assistance of NGO Sea Watch to recover the bodies still trapped in the rubber boat. Sea Watch transferred another body recovered from an unrelated incident to the Bourbon Argos's morgue and then recovered the 14 corpses. Among the rescued people, 23 were in need of medical treatment for chemical burns, 11 of them were classified as severe. Seven patients required a medical evacuation and two were so severely injured that they were taken by helicopter for emergency treatment in Italy. The life of one young woman was saved by the medical team on board who intubated and stabilized her prior to evacuation. The survivors, among them the husband and the eight month old child of one of the victims, were given immediate psychological aid by the Médecins Sans Frontières team and will be given further support and care by their psychological first aid team on shore once they disembark in Italy. In 2016, 327,800 people have arrived in Europe by boat this year and 3,740 lives have been lost to sea according to UNHCR. 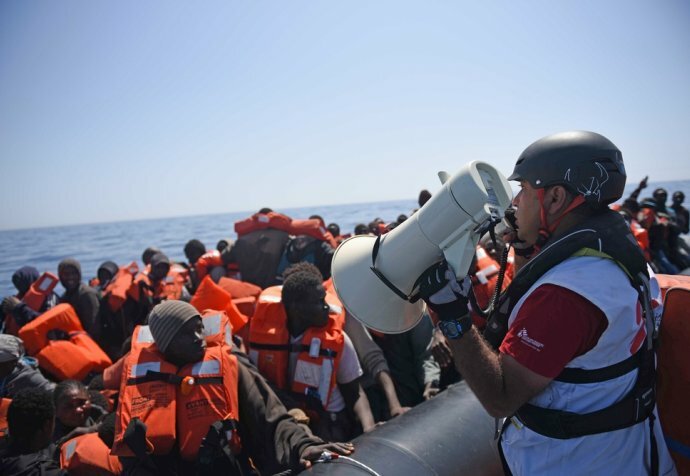 Médecins Sans Frontières has teams on board three boats in the Central Mediterranean Sea and has rescued over 17,000 people since the beginning of operations in April this year. In the face of this tragedy Médecins Sans Frontières again reiterates that whilst search and rescue is lifesaving, providing safe and legal routes is the only way to end deaths at sea.